Who is the man called “The Siri Singh Sahib”? 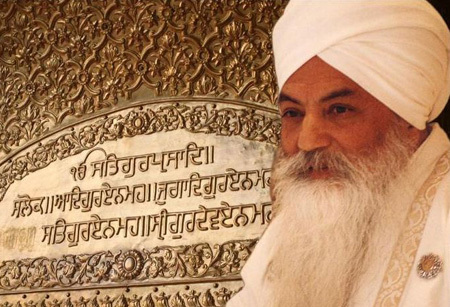 From humble roots in northern India growing up as a devoted Sikh and Kundalini Yoga student, Harbhajan Singh Puri became the beloved spiritual teacher and leader of the Sikh faith in the West. 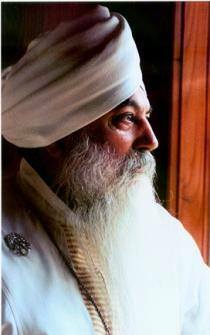 Through his love for the Sikh path and his compassionate teaching of the Aquarian technology of Sikh Dharma, he was honored with the title of Chief Religious and Administrative Authority for the Western Hemisphere. During his 35 years of teaching and traveling around the world, he inspired thousands of spiritual seekers to embrace the Sikh way of life. 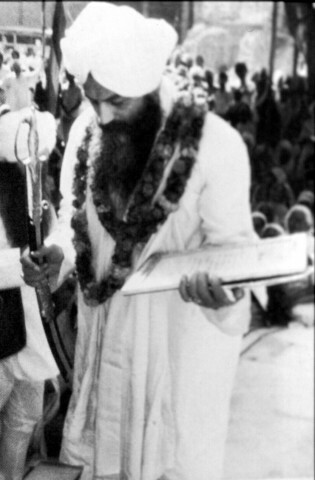 In 1971, in acknowledgement of his extraordinary impact of spreading the universal message of Sikhism, Sant Chanan Singh (president of the SGPC, which is the governing body of Sikh Temples in India) bestowed on Harbhajan Singh the title of Siri Singh Sahib, whereupon he was charged by the Akal Takhat (“throne of the timeless one” serving as the primary seat of Sikh religious authority) with the responsibility to return to the West and establish the Ministry of Sikh Dharma. This was the first time in history that anyone outside of Amritsar, India, was granted this honor. 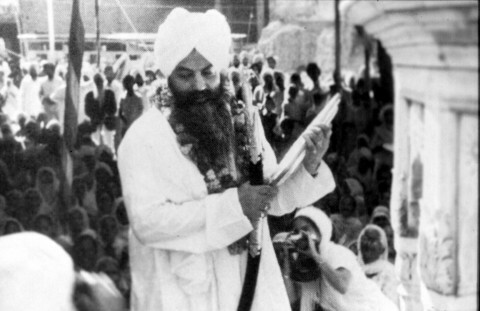 He was later honored with the honorific title “Bhai Sahib” by the Akal Takhat in 1974. Under the Siri Singh Sahib’s direction, Sikh Dharma was legally incorporated and officially recognized as a religion in the United States in 1971. That year, the Siri Singh Sahib ordained 19 male Ministers. 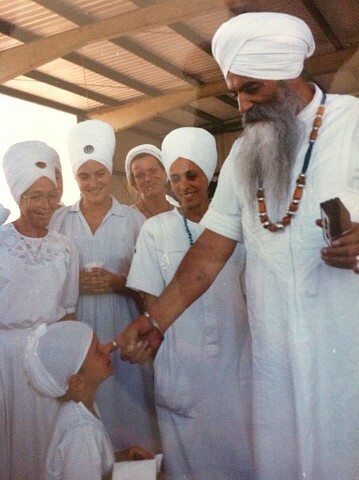 On June 27, 1972, the Siri Singh Sahib ordained a large group of women as Ministers at the Summer Solstice gathering in Mendocino, CA—the first ever ordination of women as Sikh Dharma Ministers in the West. 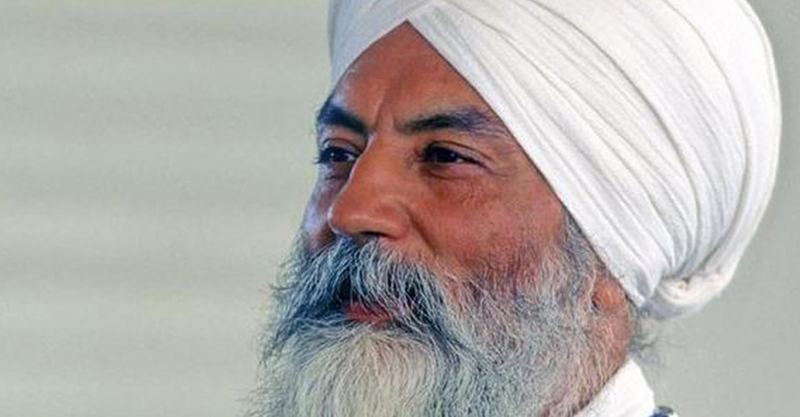 One man, Yogi Bhajan, came to Los Angeles in December of 1968, unknown and alone, as God willed, and began teaching. He soon endeared himself to thousands of young people, who took up the call to live righteously, to rise before the sun and chant the holy Nam, to earn their living and share with others, and to go out and teach. The majority found that they were Sikhs. In December 1970, after two years away from his family and friends in India, Yogi Bhajan took a group of 84 students to the holy city of Amritsar and his beloved Golden Temple, where he had cleansed and purified himself through four year of nightly washing its marble floors. He was welcomed by the Secretary of the Shiromani Gurdwara Parbandhak Committee (S.G.P.C. ), the central governing body of the Sikhs in India, who was amazed to see the students who had been guided to the house of Guru Ram Das and immediately appreciated the missionary work that was so effectively being carried out in the West by Yogiji. Thus, on March 3, 1971, before the Akal Takhat, the Eternal Throne established by Guru Hargobind to serve as the Chief Seat of Religious Authority for Sikhs through the world, Yogi Harbhajan Singh was presented with a sword of honor. He was charged with the responsibility to return to the West and establish the Ministry of Sikh Dharma. As he has said many times, “I am a leader for the Sikhs, not of the Sikhs.” Beyond being an effective administrator, leader, and visionary, he has demonstrated that the Siri Singh Sahib must be an exceptional human being. He was the most compassionate person, giving freely of himself day and night, giving aid and comfort to the sick and troubled at times when his own strength was all but exhausted, serving even those who returned his concern with abuse, reserving the most difficult thankless jobs for himself, and then granting others all of the credit. His actions give living proof to his words, “My birth and my life and my end are meant to serve.” He has set the example that in Sikh Dharma, only that person shall be considered worthy of the highest seat of office who can humble himself to be the dust of all people’s feet. There may never again be another man or woman to truly fill the role as he has done, but at least we shall have recorded in our history what a true Siri Singh Sahib is. 1] Before he left his body on October 6, 2004, the Siri Singh Sahib established there was not going to be a successor Siri Singh Sahib. The Wheel of 8.4 million births is turning for the final time. It’s much too difficult to pass through. I have not found the Path of Liberation. The guiding beacon is meditation on the Dharma. Who knows the way through this narrow crevice? To feel the way through the results of my deeds. I have no spiritual wealth…I have not earned it. I’ve lost the Game after 8.4 million times around! By following the Way of the Gurmantra, the Path is found. The Joy of Wisdom and Inner Light is the Life of Liberation. The Joy of Godly deeds is the Life of a True Enjoyer. Such Union is earned through the Power of the Shabd. Oh, Yogi! Yogic Meditation is the Path of the Soul!